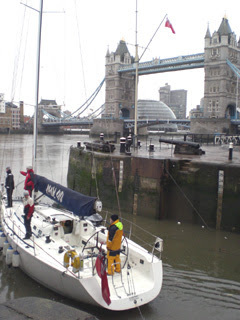 Our race-yacht Cracker doubles as the office premises for Heppell.net and we wintered in the St Katherine Docks, next to the Tower of London and very handy for all the Westminster work. As Feb ends, we head East, downriver. Rainy day, great views!